Learning objectives: Correctly constructing an ileoanal pouch is a key point for a successful operation and a satisfying function on the long-term. With this video we aim to practically demonstrate step by step how to safely construct a J pouch, highlighting some tips and tricks. 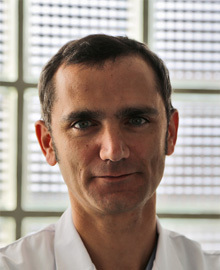 Antonino Spinelli is head of the Colon and Rectal Surgery Unit in Humanitas Research Hospital and is Assistant Professor of Surgery at the University of Milan. He graduated as MD in 2001 at the University of Milano. During his education he trained for two years at the University of Berlin Charite, chaired at that time by Professor Peter Neuhaus. He obtained his PhD on Surgical Physiopathology discussing a thesis on enhanced recovery for laparoscopic colorectal surgery in 2011. He is on the Executive Board of the Italian Society of Colorectal Surgery, and is a member of the European Society of Coloproctology, the American Society of Colon and Rectal Surgeons and the Italian Society of Surgical Oncology. He has published over 60 papers on Pubmed indexed journals (total IF>200) and several book chapters. He is Associate Editor of Colorectal Disease and Member of the Editorial Board of the Journal of Crohn’s and Colitis. He is focused on advanced minimally invasive colorectal techniques, included single-port surgery and transanal surgery (TAMIS and TATME), and has a special interest on enhanced postoperative patient recovery. He is frequently invited to give lectures in colorectal surgery (more than 70 invited talks or lectures). Dr. Spinelli has scientific collaborations with many prestigious institutions worldwide. Carvello M, Montorsi M, Spinelli A. Refractory distal ulcerative colitis: is proctocolectomy always necessary? Dig Dis. 2014;32 Suppl 1:110-5. doi:10.1159/000367860. Epub 2014 Dec 17. PubMed PMID: 25531362. Sacchi M, Yeung TM, Spinelli A, Mortensen NJ. Assessment of the quality of patient-orientated internet information on surgery for ulcerative colitis. Colorectal Dis. 2014 Dec 15. doi: 10.1111/codi.12870. [Epub ahead of print] PubMed PMID: 25510335.